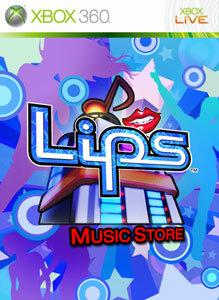 New Lips Music Store DLC was released 8/27/10. (Music Downloads Not Rated by the ESRB.) Purchase this Premium Song to add “Hip To Be Square” as performed by Huey Lewis & The News to your Lips library. You’ll get the song’s track, chart, lyrics, and original video. A Lips game disc is required to play this downloadable content. Once your purchase is complete, go to Get Music in the game, and then add this song to your library. Visit lips.com to check out all the songs you can get, song credits, news, and join the Lips community. There are no refunds for this item. For more information, see www.xbox.com/live/accounts. (Music Downloads Not Rated by the ESRB.) Purchase this Premium Song to add “If This Is It” as performed by Huey Lewis & The News to your Lips library. You’ll get the song’s track, chart, lyrics, and original video. A Lips game disc is required to play this downloadable content. Once your purchase is complete, go to Get Music in the game, and then add this song to your library. Visit lips.com to check out all the songs you can get, song credits, news, and join the Lips community. There are no refunds for this item. For more information, see www.xbox.com/live/accounts. (Music Downloads Not Rated by the ESRB.) Purchase this Premium Song to add “The Heart Of Rock & Roll” as performed by Huey Lewis & The News to your Lips library. You’ll get the song’s track, chart, and lyrics. A Lips game disc is required to play this downloadable content. Once your purchase is complete, go to Get Music in the game, and then add this song to your library. Visit lips.com to check out all the songs you can get, song credits, news, and join the Lips community. (Note: No original video is available with this Premium Song offering.) There are no refunds for this item. For more information, see www.xbox.com/live/accounts. (Music Downloads Not Rated by the ESRB.) Purchase this Premium Song to add “Workin’ For A Livin’” as performed by Huey Lewis & The News to your Lips library. You’ll get the song’s track, chart, lyrics, and original video. A Lips game disc is required to play this downloadable content. Once your purchase is complete, go to Get Music in the game, and then add this song to your library. Visit lips.com to check out all the songs you can get, song credits, news, and join the Lips community. There are no refunds for this item. For more information, see www.xbox.com/live/accounts. (Music Downloads Not Rated by the ESRB.) Purchase this Song Pack to add “Workin’ For A Livin’,” “Hip To Be Square,” and “If This Is It” by Huey Lewis & The News to your Lips library. You’ll get each song’s track, chart, lyrics, and original video (when available). A Lips game disc is required to play this downloadable content. Many downloadable Lips songs are available both in Song Packs and as single items. These songs are exactly the same unless expressly noted as a special version or remix. Be aware that it is possible to download the same song twice so please carefully consider your purchases. Visit lips.com to check out song credits and news. There are no refunds for this item. For more information, see www.xbox.com/live/accounts. (Music Downloads Not Rated by the ESRB.) Purchase this Song Pack to add “The Heart Of Rock & Roll,” “Do You Believe In Love,” and “Stuck With You” by Huey Lewis & The News to your Lips library. You’ll get each song’s track, chart, lyrics, and original video (when available). A Lips game disc is required to play this downloadable content. Many downloadable Lips songs are available both in Song Packs and as single items. These songs are exactly the same unless expressly noted. Be aware that it is possible to download the same song twice so please carefully consider your purchases. Visit lips.com to check out song credits and news. There are no refunds for this item. For more information, see www.xbox.com/live/accounts.